Belle Rose Ragins, K. E. Kram, "The Handbook of Mentoring at Work: Theory, Research, and Practice"
…a comprehensive overview of the current state of research, theory and practice drawn from the leading scholars and practitioners who have advanced our understanding of mentoring in the workplace… The Handbook of Mentoring at Work; Research, Theory, and Practice, provides a definitive guide that not only informs the field, but also extends it in three critical ways: Chronicles the current state of knowledge of mentoring and identifies important new areas of research: The Handbook begins with offering an extensive, cutting-edge and in-depth review of core topics in mentoring research, such as diversity in mentoring relationships, learning processes in mentoring relationships, formal mentoring, peer mentoring, socialization and mentoring, leadership and mentoring, dysfunctional mentoring, personality and mentoring, and electronic mentoring. 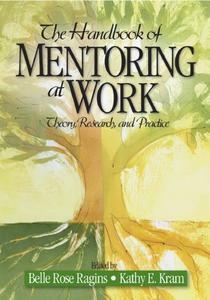 Extends the theoretical horizon of mentoring: The theoretical section of the Handbook builds and extends mentoring theory by drawing on a diverse and rich literature of related theories, such as network theory, adult development theory, relational theory, communication theory, personal change theory, work-family theory and theories of emotional intelligence. 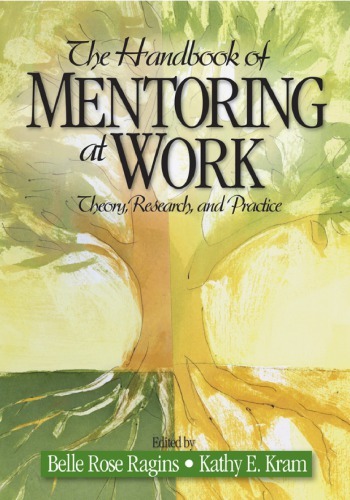 Builds a bridge between the practice and study of mentoring: The Handbook includes chapters that address not only formal mentoring programs, but also mentoring practices that relate to leadership development programs, diversity programs and international perspectives. The Handbook is a "must-have" reference for understanding the key debates and issues facing mentoring scholars and practitioners, and provides a theory-driven road map to guide future research and practice in the field of mentoring.